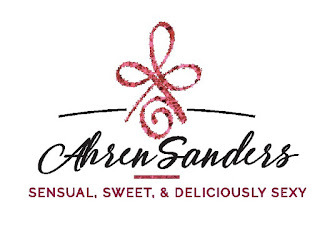 Ahren F-ing Sanders. I am absolutely speechless with this book. 99.9% of the time, books don’t affect me emotionally, but you… you and your words made me bawl. 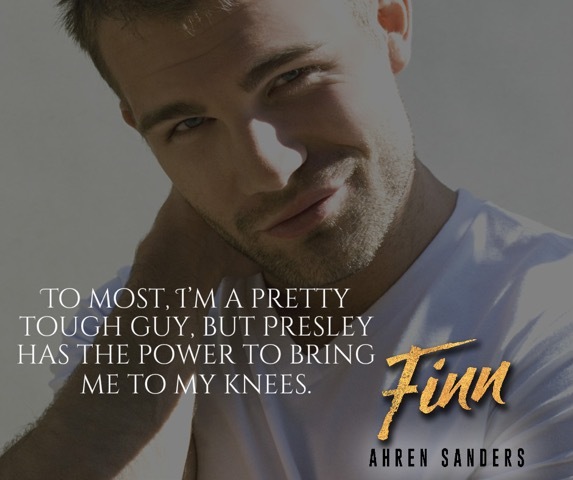 Finn is a book of nearly epic proportions, and I’ll admit it has taken me quite some time to sort out all the feels I had with this book and put my review onto paper. Sanders took my heart, crushed it, and then brought over the glue and duct tape to fix it after the ride came to an end. It is simply amazing what Sanders can do when she puts her pen to the paper. 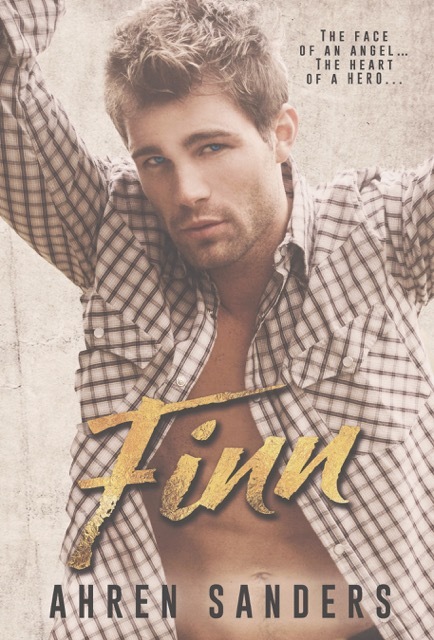 Finn’s book has been a long time coming after his involvement with Raven and Declan’s story. 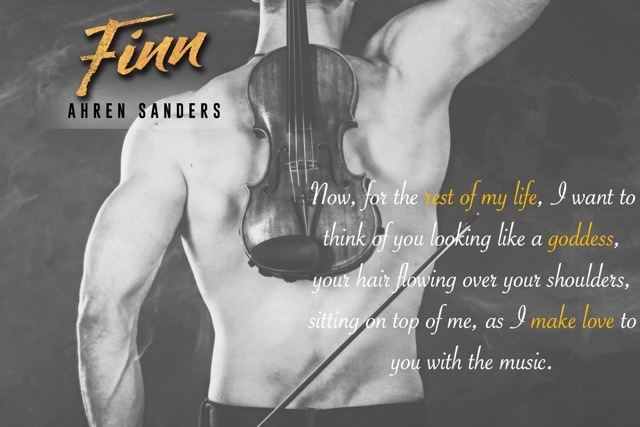 While we are never given exactly the blow by blow that happened in Paris, we get the sense that it was a game changer for both Finn and his romantic entanglements. Raven secured a piece of his heart for herself, but he knew that she was never meant to be his. After Paris, he jumps from woman to woman until a chance meeting with a woman at a dog park. 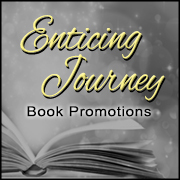 As a military man, he jumps at the chance to be involved in Robbie’s security firm, but even when Presley comes barreling into his life, he knows that the dangerous situations that he is placed in may be too much for her to handle. Presley is what you would call the spunky, but reserved girl next door type. 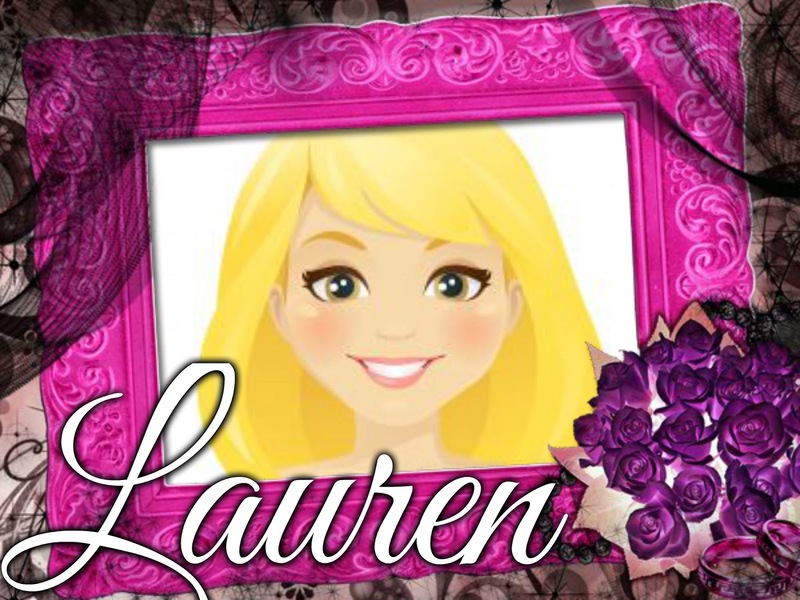 She has always done what was best for her family, including moving closer to her older brother to help raise his daughter. She craves a life of safety and comfort. Yet, one dream days before her brother’s death in the military rattles Presley and sets her on a course to break down those safety barriers and learn to live again. She’s never taken a single step outside into the danger zone, but for him, she’s willingly to try. Finn and Presley’s story is beautiful in its broken hearts and broken souls mentality. There were so many moments in this book that made me gasp and grip my pillow in anger or frustration that I am sure my husband has looked into mental institutions for me. 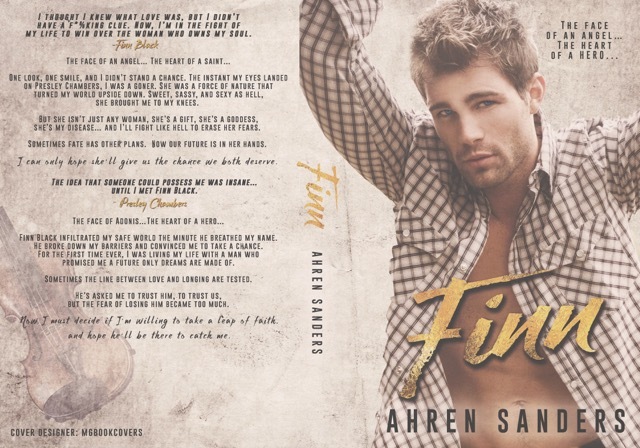 Finn is so much more than the love story between the papers, but of trusting in the one person who may just complete you and learning to knock down the walls around you. Sometimes you have to make a tough decision, but those decisions may not always be the best for everyone involved. I’ll admit while I love Declan, Sanders made me all head over heels for Finn. Her characters are so warm and genuine that you could literally see them walking down the street or at your favorite restaurant getting a bite to eat. Finn is by far in my top ten reads of 2016, and has likely cemented its self in the best book of all time standings as well. 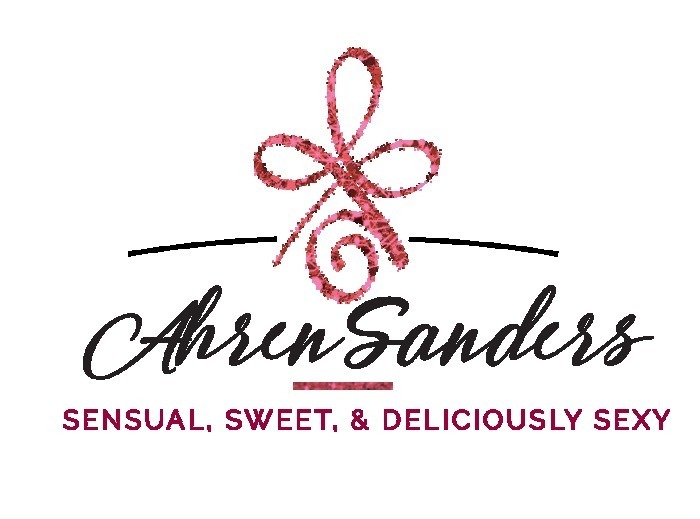 Now, the only thing I have to ask is, Miss Ahren Sanders, when is your next book coming out because this girl needs to stock up on her Kleenexes and whiskey?